Lead-free (1 − x)(Ba0.95Ca0.05)TiO3–xBaWO4 (abbreviation BCT–BW) (x = 0, 0.01, 0.015, and 0.02) composite ceramics have been synthesized by the sol gel method with subsequent thermal treatment at 1000°C/1200°C as calcined/sintering temperatures. Effect of BW on the structural characteristics and microstructure of the prepared compositions were investigated. X-ray diffraction analysis of pure BCT ceramic showed a tetragonal perovskite structure; however, the other compositions (x > 0) a two phases of BCT (tetragonal structure P4/mm space group) and BW (tetragonal I41/a space group) were detected. Microstructure observation confirmed presence both of spherical and elongated grains of BCT and BW, respectively. Effect of BW addition on the phase transition temperature can be neglected; however, it had a significant impact on decreasing the dielectric permittivity and increasing the thermal stability in all temperature ranges. 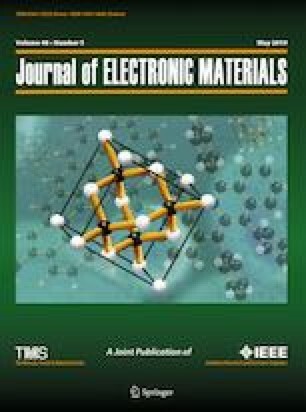 The dielectric tunable properties of prepared compositions were analyzed, and the results showed an enhancement of BCT tunability properties by BW content. High dielectric tunability 70.12% (at 30 kV) was achieved in composite (0.98 BCT–0.02 BW) due to the lowest value of permittivity and dielectric loss in addition to ferroelectric to ferrorelaxor phase transition behavior for which it is considered a promising material for tunability applications. Authors gratefully acknowledge the CV-Raman International Fellowship for the African Researchers awarded 2017 and Project No. NRB-277/MAT/12-13 for financial support. Thanks to Colleges of Nano sensor Lab, School of Applied Science KIIT University, India and Faculty of Science colleges, South Valley University, Egypt for their help.